Planning a family holiday or weekend getaway in your home from home, then you’re going to want to ensure its working correctly to avoid £££’s of repair fees and charges. Before you start any journey, no mater how far you should make sure that certain elements within your caravan are working safely. As most portable caravans are fitted with appliances such as hobs, fridges and cookers, any sign of fault could be the catalyst for a serious injury so knowing a few useful caravan repair services wouldn’t be a bad idea. Caravan Repair Services to Consider . . .
You’re making your way down the M1 and then . . . BOOM! There’s a huge bang – what do you do? Chances are there has been an issue with an internal engine component or something else built into the caravan itself. All of that could be easily avoided with regular caravan maintenance through car servicing in Milton Keynes and annual safety checks. If you don’t maintain your vehicle correctly on a regular basis then it’s going to break down. Simple. And we all know that getting a caravan to a local garage without a towing vehicle isn’t easy. So its certainly a case of tow or be towed. With the correct maintenance you’ll find your caravan lasting longer, gaining more miles and being able to tow trailers more frequently. Many maintenance tasks can be completed at home, so there’s no need to worry about taking it to a repair garage or buying parts. Most items for basic maintenance can be purchased for less than £10 so there’s no excuse. General Maintenance Tasks and Advice for Your Caravan . . .
As we’ve mentioned you’re more than capable of completing some basic tasks and checks yourself before you need to consider the help of a professional car garage or auto centre. Over time, the doors and cupboard hinges built into caravans can become stiff and require a little maintenance to get them working correctly. The easiest way to repair hinges and doors is to have them all opened up fully. Make sure that you include any internal cupboards, storage spaces and doors to different areas of your caravan. Use lubricating oil such as WD-40 and apply it to hinges and joints. 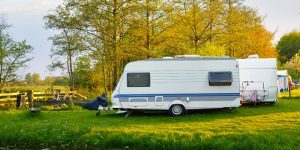 Most caravans are left in storage spaces such as external garages or parking units when not in use. As they are most frequently used in the summer months, there’s a significant amount of time when they remain idle. During this time, the battery can lose its charge and fail to start the electrics on board when the engine starts up. In some cases, you may even find it difficult to start the engine altogether. Make sure that you charge the battery in full and test it before you start long trips. If after charging, the battery still fails to work, you may have to have it replaced. Exactly like you would on a standard car, tyre pressures play an important part with regards to efficiency and safety. With the correct tread and tyre size, caravans are able to travel greater distances. However, with the incorrect tyre fitted, combined with wear and tear, the chances of an accident start to rise. It’s worth checking your tyres before your journey and taking the appropriate action prior to travel. Clean Your Caravan . . . 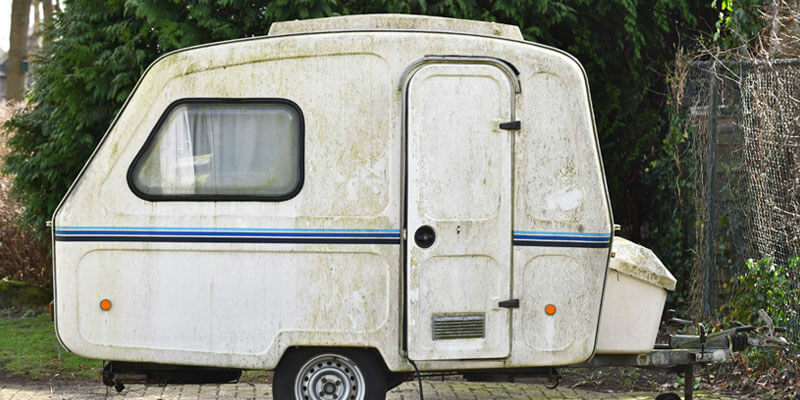 Although an untidy caravan may seem like something further down your priority list when it comes to maintenance, you’ll be surprised at how it can affect your vehicle. 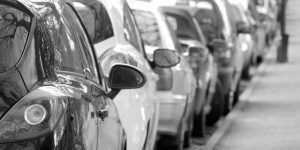 As well as being an eyesore, dirt, grit and grime built up on the outside of the vehicle can contribute to corrosion and long term bodywork damages. It’s worth cleaning your caravan regularly as it has proven to help it last considerably longer than those that aren’t. Make sure that you check all of the electrical elements prior to travel. The best way to confirm that the electrical items are working is by connecting all of the up and switching each appliance on, one by one and measuring the results. If you notice anything such as broken light bulbs or signally bulbs, make sure that you replace them before driving. Light bulbs and signal bulbs can be purchased from any good DIY store or auto centre from approximately £4. 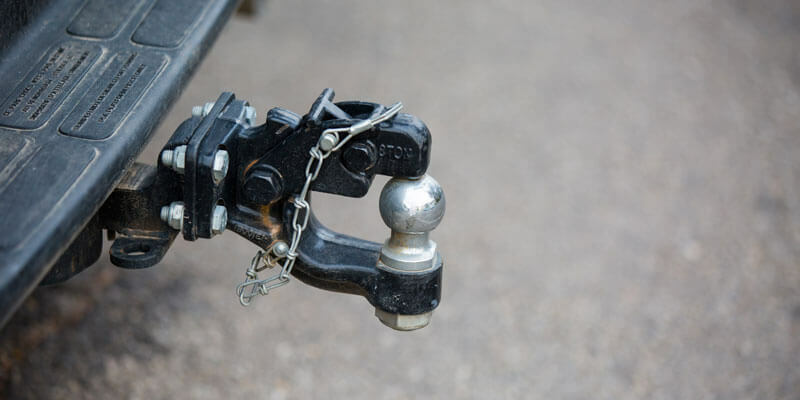 If you book your caravan for an MOT, then the handbrake will be checked as part of the annual test. However, you can check the handbrakes current state at home with a couple of simple ideas. Try to release the handbrake – if its difficult to release then there could be an issue. Try to apply an automotive lubricant and allow it time to set in. Once a few minutes have passed try to release the brake again. If it continues to become difficult to release, book your caravan in for a diagnostic and repair. Minor bodywork damages can be repaired from home and a simple scratch pen can be all that is needed in minor scenarios. However, for larger damages such as dents, punctures and larger scratches you may need to see a car body repair expert. They use a combination of fillers, primers and automotive paints to repair the damaged patches and make the paintwork look as good as new. Have your vehicles checked on a regular basis through annual servicing, as this will highlight any serious problems with your caravan. Occasionally there could be a repair that is simply unavoidable such as a cambelt replacement in Milton Keynes. These are needed after a specific number of miles are completed or every 12 months, whichever is completed first really. Make sure that you look after your portable homes. After all, a caravan isn’t a cheap investment. Many vehicles cost the same as small homes and larger family vehicles. Maintaining your caravan regularly will inevitably allow it to last longer without the costs for repairing.